Heathrow today announced the names and locations of the two shortlisted Northern Ireland sites that remain in the running to help deliver the expanded airport, signalling the project has reached a new and significant milestone on its path to delivery. 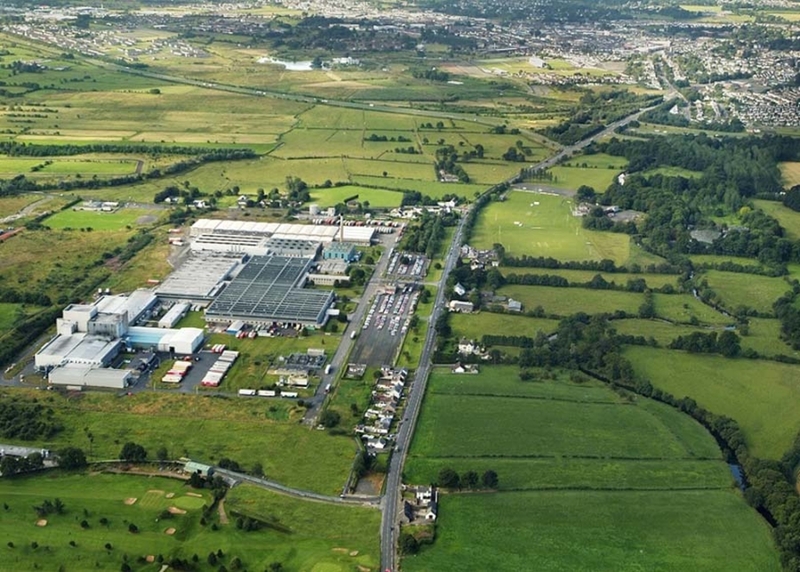 The former Michelin site in Silverwood Business Park, Ballymena, which once served as the company’s main European manufacturing plant, features on the shortlist, along with a family-owned former military base in Ballykelly. They vary in size, age and location, but have made it to this stage as they have showcased a strong base of local support, their area’s thriving supply chain, convenient connectivity links and the potential to tap into a skilled workforce. The sites have been selected from a longlist of 65, all of which were visited during a nationwide tour which concluded in the summer of 2018. The longlisted locations were then all invited to take part in a pre-qualification questionnaire which helped to determine which sites were best placed to be involved in the delivery of the UK’s largest infrastructure project. In the autumn, the two sites shortlisted will have the opportunity to pitch to the airport’s bosses for their chance to become one of the final four construction centres, to be announced early next year, ahead of work starting in 2021. The final four sites will become offsite construction centres that will help to deliver the UK’s new runway bringing jobs and economic opportunities to every corner of the country as Heathrow looks to construct as much of the expanded airport offsite as possible. This innovative approach will also help to make the project more affordable and sustainable – by transporting assembled components in consolidated loads. In addition to the economic opportunities the Logistics Hubs could bring to Northern Ireland, Heathrow’s ongoing Business Summit series is set to take place in Belfast on 17 September 2019. This summit will provide small businesses throughout the nation with the opportunity to become part of Heathrow’s supply chain ahead of expansion. The summit will give hundreds of SMEs access to one-on-one appointments with Heathrow’s top suppliers. John McDonald, GRAHAM Group Corporate Development Director added: “We are delighted to have been selected to proceed to the next stage of the Heathrow Expansion Logistics Hub competition. We believe our well-structured consortium presents a unique offer with the capacity to help realise Heathrow's vision to create the 'world's best connected' airport in line with its commitment to 'sustainable growth'. Coalescing around key partners, our solution offers a long-term strategic vision that could position Heathrow at the cutting edge of innovation and project delivery in modern methods of construction. We are looking forward to developing our proposal further in collaboration with Heathrow during the next phase of the process. Chief Executive of Mid and East Antrim, Anne Donaghy, said: "I am delighted GRAHAM's bid, supported by ourselves and our partners, including Silverwood, the Manufacturing Taskforce and Antrim and Newtownabbey Borough Council, has passed to the next stage of this once-in-a-generation opportunity to play a crucial role in the expansion of Heathrow Airport. "This excellent close-working relationship between local government and our private sector partners has resulted in this significant step forward in a process which could ultimately deliver an economic boost of £5billion and create 5,000 jobs in Northern Ireland. "We look forward to the next stage of the process."